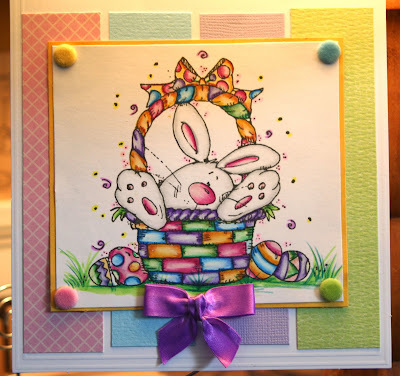 Snippets of Time: Hippity Hoppity..
Oh I just love the colors of Easter.....pastels....ahhhhhhh. Plus, Easter means that Spring is coming!!! The image is from Whipper Snapper. The coloring is base copics and highlighted with Prisma pencils. LOVE the colors you used here, girly! Love this card. Wait, I love ALL your cards! You're so craftastic! Love your coloring! Love the colors! Fab Easter card. how adorable is that! what a cute card. amazing, as usual!!!! Love this image and how you colored it!! too cute - such pretty spring colors and I love the layout! This such a great card! I'm not a pastel lover but this I love!